One of my knitwear design highlights in 2017 was my No-Wrong-Side Hat which I created for The Fibre Co’s Fall 2017 Yarn Support Programme. 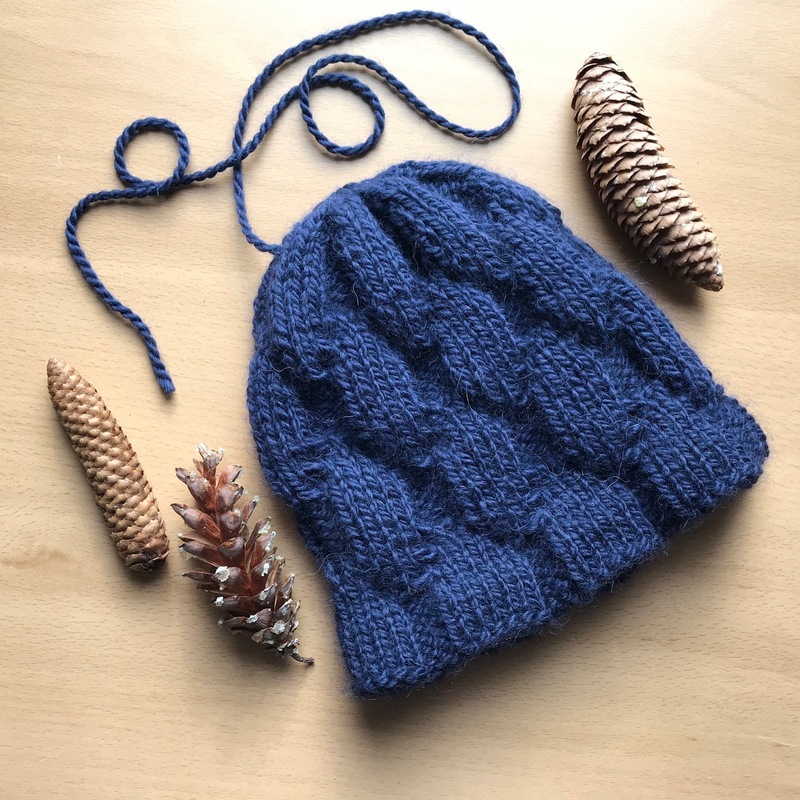 Please see my design release post from November to read about the reversibilty of this hat (two hats in one). It only took one skein! Using my swatches and design samples, I do my best to calculate yardage requirements, and then I add 5%. I strive to guarantee that others have success knitting my designs -- which means not having to play the game of yarn chicken (i.e., will I, or won't I, run out of yarn?). A pair of mitts will take far less than one skein of Tundra. I’ve played yarn chicken a few times. Not excately where anyone wants to be, but it’s so satisfying when there’s just enough yarn. You made it! Dare devil adventures in knitting. Yes! A great hat, Carolyn. I love the reversibility. Beautiful hat. I added it to my Ravelry wish-list already.